Manchester United could reportedly be ready to try a swap deal to sign Ajax forward Justin Kluivert, with Daley Blind offered in a move in the opposite direction. The Red Devils are currently ‘investigating’ the possibility of signing Kluivert, claims the Daily Mirror, with Jose Mourinho happy to offload Blind to help push the move through. 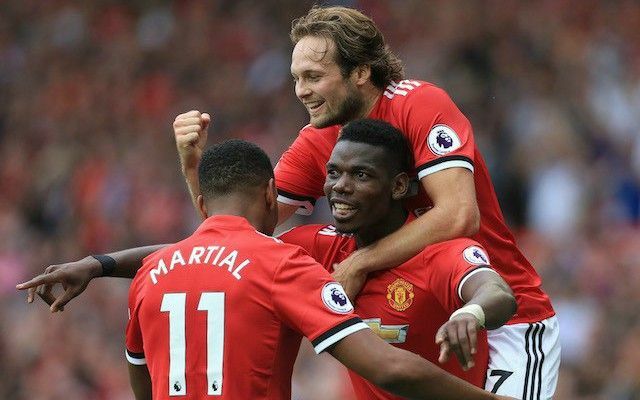 Blind has not been a regular at Old Trafford in recent times, having joined from Ajax during Louis van Gaal’s reign, but without reaching the levels really expected of him. It could now be that the Netherlands international will head back to his old club as United look to strengthen their attack with a move for exciting youngster Kluivert. The 18-year-old looks one of Europe’s top talents at the moment and would make a great fit for United, who still seem to be lacking spark in the final third this season. Alexis Sanchez is yet to fully settle since his January move from Arsenal, and Mourinho will need to have more quality up front next season if his side are to close the gap with runaway league leaders Manchester City next year.